Ian comes to us from Columbia, SC where he has been heavily involved in vocal and instrumental music from his early school days. He was introduced to barbershop in 2007, and has been active in a variety of quartets and choruses since then. Only a few years after joining the Mainstreet Harmonizers, he was co-directing that chapter on the Dixie District contest stage. Ian performed at the BHS midwinter youth chorus contest from 2010 through 2012 with both Savannah Storm and Georgia Spirit. He also competed on the International stage with the Atlanta Vocal Project in 2009 and 2011. Ian's quartet resume began with Generations Quartet in 2007, which eventually turned into Sound Center. This group put together several Dixie District top ten finishes before disbanding. His collegiate quartet, The Vigilantes, were crowned Dixie District Collegiate Quartet Champions in 2011, and shortly after that they competed in the Bank of America Collegiate Barbershop Quartet Contest in Kansas City, MO where they won the silver medal. The following year the quartet qualified for the BHS International Contest in Portland, OR where they finished in the top 40. More recently Ian competed in the Mid-Atlantic district and divisional contest with Forecast Quartet. In 2014 they were awarded the silver medal at the Southern Divisional contest in Roanoke, VA. 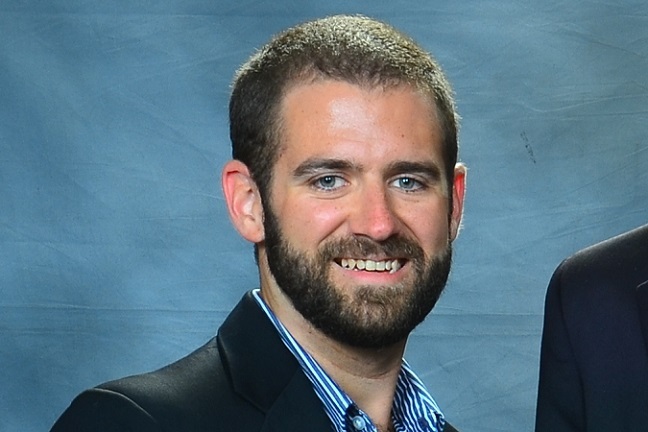 He currently lives in Virginia Beach with his wife and young son, and works as an insurance agent for Humana. Norm joined barbershop and the Commodores in 2000 thinking he knew a little something about singing and perhaps even directing since he had sung in high school madrigals, played in the band and his father directed the church choir. He quickly found he knew nothing; but, that's another story. He has been an assistant or co-director of the Commodores since about 2006, taking on more responsibility in that arena since the departure of directory Patty Leveille in 2009 and the (semi) retirement of Brian Allen. Norm's first exposure to Barbershop was at Virginia Tech, (then officially Virginia Polytechnic Institute and State University) in 1972 when a classmate invited him to participate in a barbershop quartet for the annual Corps of Cadets variety show (thank you Jamie Alga, Jack, and Lou). I think we won the show. His second foray into the quartet world was with "Chapter Four" in 2001 with Eric Flynn, "WD" Bankart, Josh LeClerc and Norm singing bass; and, they were honored to win the Middle Atlantic District's Novice quartet award. Norm currently sings bass with "The School Board" that includes Ross Wilkins, "WD" Bankart, and Ron Soreil. Norm retired from the U.S. Navy in 1994, and worked for McDonnell Douglas, the Boeing Company, and Tapestry Solutions a Boeing company supporting a planning system for the U.S. Navy. Norm is lucky to be married to Nancy Catharine nee King and has two children, Ashely and Thomas, and three fabulous grandchildren. Bill's father, Jim Byrd, introduced Bill to barbershop singing at an early age. Bill later joined the Society when he was 15 years old. At that point, Bill was "hooked" on barbershop and has remained a member of the Norfolk Chapter for more than 40 years, even while he was on active duty with the U.S. Navy and singing with his shipmates. 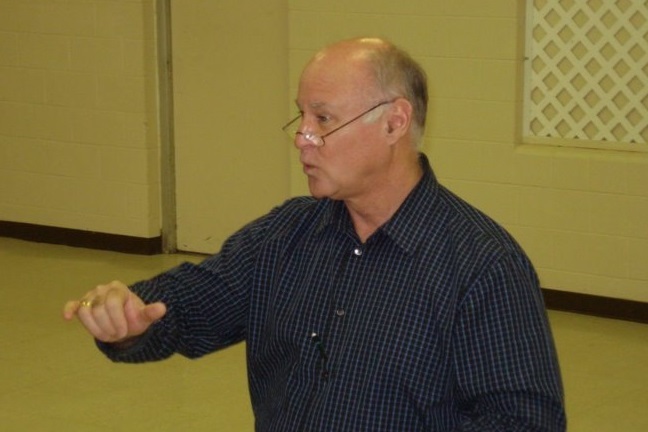 Bill's long time position as an assistant director for the Chapter's Commodore Chorus complements his position as Director of the Commonwealth Chorus of the Suffolk, VA, Chapter. He has had extensive directing experience and has had training at Harmony University as well as music courses while in college. Bill also has served as a member of the Norfolk Chapter's Board of Directors from time to time. 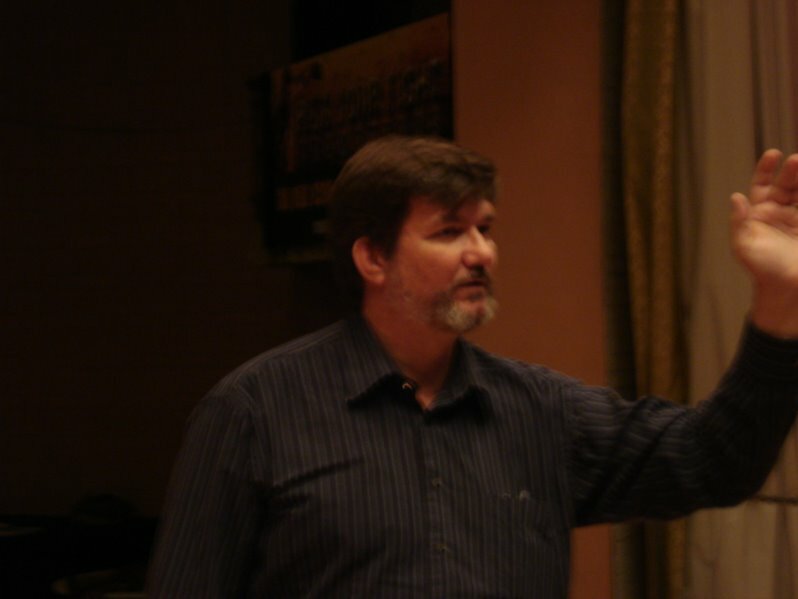 Bill has competed with the Commodore Chorus at various levels over the years, and has competed on the quartet stage, most recently with the 3Db quartet. He currently sings with the Good Vibrations quartet. Bill lives in Suffolk with his wife Jill, who also has been actively serving the chapter as the leader of our women's auxiliary, the First Mates. Bill manages a Pizza Hut restaurant.